in a most time and cost efficient way. 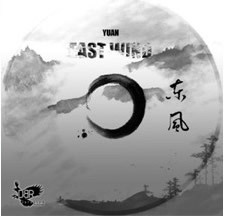 The Historical Story of “East Wind”: Everything is ready, except the East Wind! China, AD208 – Three Kingdoms Period: At the three kingdoms period, there were three major forces dividing China: Wei, Shu, and Wu. Wei had strongest military force. Caocao, the Head of Wei, led 800,000 soldiers march to mid of Yangtze River, preparing battles to defeat Shu and Wu. Even Shu and Wu made alliance, however, the number of soldiers from the joint force was only one tenth of that of Wei. The soldiers from Wei were mainly from Northern part of China, and were not familiar with battling on the river. Furthermore, in order to make a strong boat army, Wei locked all the boats together with iron chains. For Shu and Wu, the only chance to win was to use fire and burn all the boats from Wei. The idea is to burn one or two boats from Wei, and then the rest of the boats will also be burnt. There is a key success element in this tactics: East Wind. Only with the help of the east wind, the fire can be spread over the rest of the boats. Finally east wind arrived, and Shu & Wu had a big victory over Wei. © 2010 East Wind All Rights Reserved.